President George Washington signed into law the Flag Act of 1794. It changed the design of the US flag … we now had 15 states with the addition of Vermont and Kentucky, and needed an updated flag. This flag had 15 stripes and 15 stars, and would be the Star Spangled Banner seen by Francis Scott Key flying over Fort McHenry in 1814. 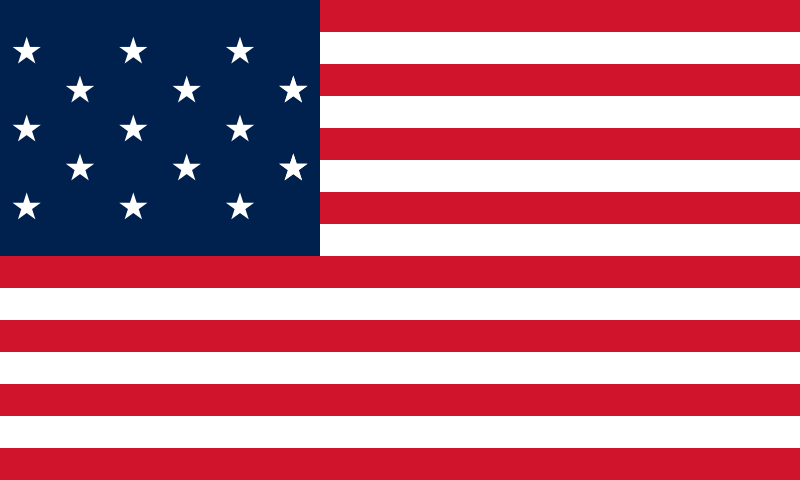 Note that the circle of stars is gone … so perhaps in 1794, at least, the design of the Hopkinson flag was preferred over the Betsy Ross and Cowpens flags? The Star Spangled Banner flag with 15 stars and 15 stripes. 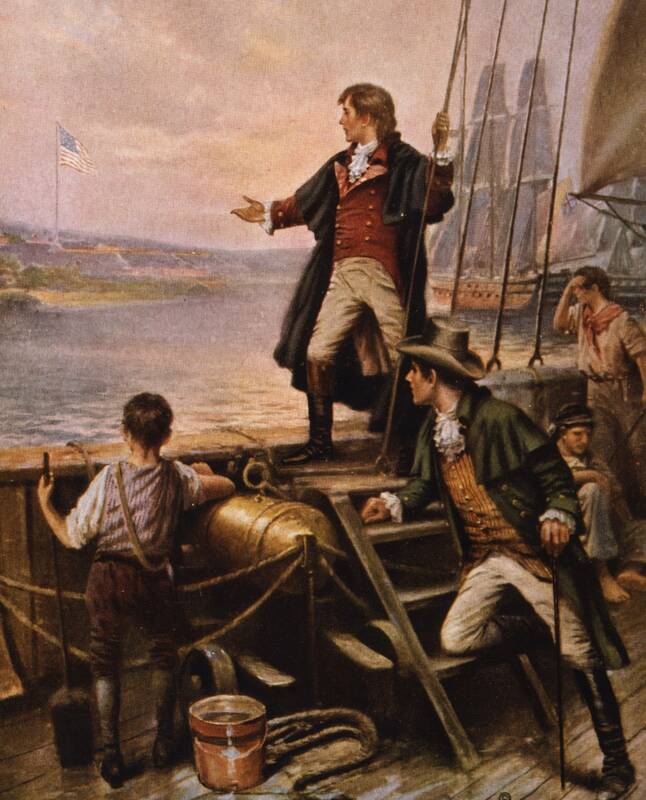 “By Dawn’s Early Light” is the 1912 painting by Edward Moran showing Francis Scott Key on the morning of September 14th, 1814. Key wrote the poem that become The Star Spangled Banner on the back of a letter he had in his pocket (see below!). The song was later set to a popular British tune, “The Anacreontic Song.” It was officially designated our national anthem by a congressional resolution, signed by Herbert Hoover in 1931. 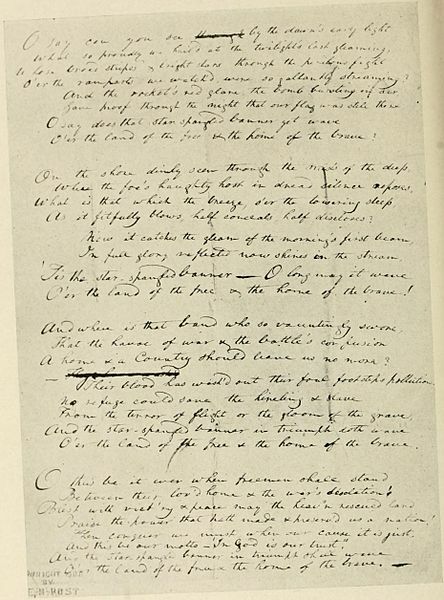 Francis Scott Key’s original manuscript of his “Star-Spangled Banner” poem. It is now on display at the Maryland Historical Society. Posted February 8, 2013 by henrymowry in U. S. A.